Becca Schofield, the New Brunswick teenager who inspired acts of kindness around the world, performed her "last act of kindness" on Valentine's Day, the day of love, her uncle said Wednesday during her funeral service. As cancer ravaged her body, Schofield's final days were spent mostly sleeping, Denis Savoie said in a eulogy to his niece at a Riverview church. 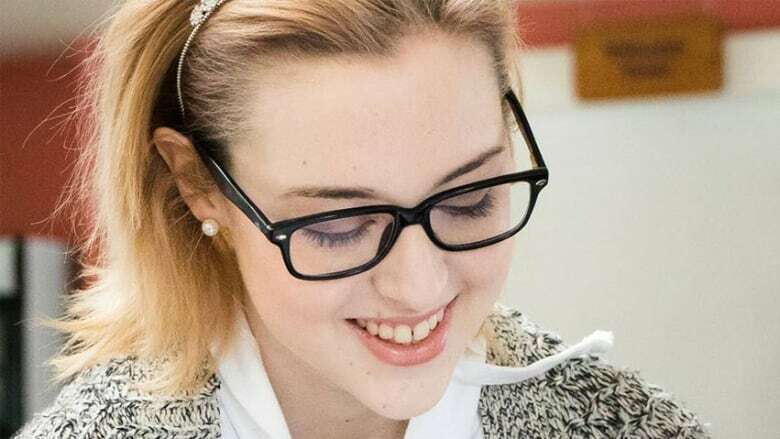 But on Feb. 14, the 18-year-old woke one last time before succumbing to her inoperable brain tumours three days later at the Moncton Hospital. "With all her wisdom and her courage, she found the strength to tell her family it was time for her to go. 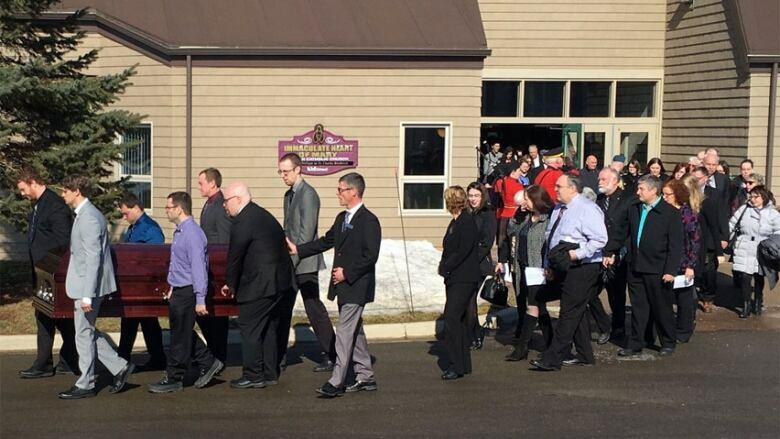 She was ready," Savoie told the crowd gathered at the Immaculate Heart of Mary Catholic Church and those following the live video feed of the funeral from the overflow seating at the church hall. "This is more than just a gift of love. She gave them the permission, the courage, the serenity to let her go. 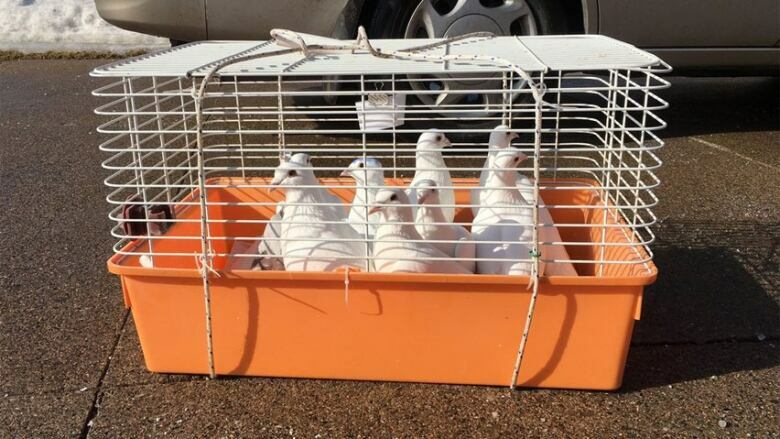 She gave them peace." About 250 people from across New Brunswick attended the celebration of Schofield's life, including dignitaries, such as Lt.-Gov. Jocelyne Roy-Vienneau. The Riverview teen captured global attention in December 2016 when she launched the #BeccaToldMeTo campaign after her terminal diagnosis, urging people to perform random acts of kindness. Savoie thanked the public for supporting the family through to the end of Schofield's "journey" and for helping make her dream come true. "She wanted to make a difference on this earth before leaving it — and she did," he said. "We saw, through Becca, how people can be good. We saw how far kindness can go. We saw how a positive attitude can help you focus on the now to appreciate what you have today." Schofield put aside her fear and "focused on living, not dying," he said. She "didn't have time to waste having regrets or to complain." She "had a vision and was on a mission." "Thank you [Becca] for leaving the world a better, kinder place." The ecumenical service, officiated by Father Phil Mulligan and Rev. Dr. Andy O'Neill, also included a performance by Mark Albert of the song You told me to, which was inspired by Schofield. The service ended with the coffin being led out of the church to the sound of bagpipes, and white doves were released to applause. Schofield's parents, Darren and Anne, her older sister Gabrielle and other tearful extended family members and friends embraced. 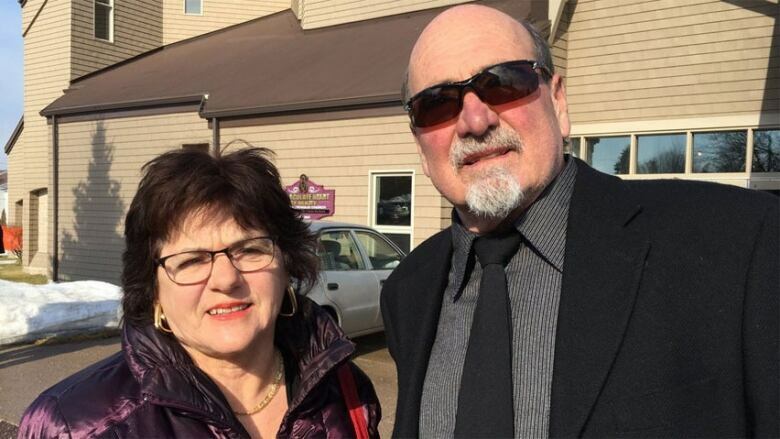 Schofield's aunt, Yvonne Lévesque of Eel River Crossing, told reporters outside the church she is very proud of what her niece accomplished during her short life. Nurse Linda LeBlanc said she didn't know Schofield, but she wanted to participate in the celebration of her life and will continue to perform kind acts in her memory. On Tuesday, as the family prepared to say goodbye to Becca Schofield, her father posted a moving tribute on Facebook. "To anyone who was lucky enough to know her, their lives will never be the same again," Darren Schofield wrote of his daughter, describing her and spirit for life, stubborn streak, nurturing manner and boundless love. "A kind heart was truly her defining characteristic." "There is sometimes so much negativity in the world, so much hate, discord, and selfishness, that a soul like Becca's struggles to find their way. She was fortunate enough to find clarity, meaning, and purpose during her prolonged journey with brain cancer." After going through "two years of hell dealing with surgery, radiation, chemotherapy and non-stop-nausea," and then being deemed terminal, "she turned it around to try to make life better for other people." Becca Schofield turned to social media with a goal of creating "a mass act of kindness." "It's pretty simple," she wrote. "If you see this message, please do an act of kindness for someone else. "It can be as big or as small as you'd like. Donate to charity, volunteer your time, or even just do the dishes without your parents asking. Shovel someone's walkway or visit someone you know will be alone this holiday season. "Terry Fox wanted to impact the world, to help make it a better place, and I do too! 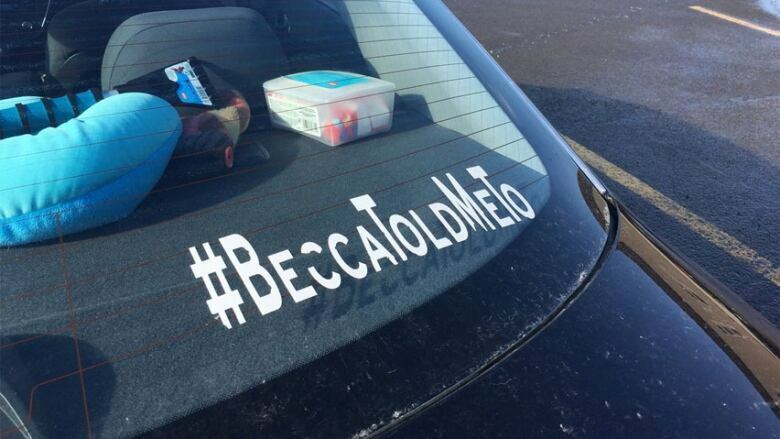 Do something to make someone smile and then tweet what you did under the hashtag #BeccaToldMeTo." Her simple request prompted good deeds worldwide. In an interview last February, she told CBC she had received responses to her campaign from as far away as Spain, Japan and Australia. The movement attracted the attention of Prime Minister Justin Trudeau, who tweeted about her "bravery, volunteerism & inspiring commitment to community," and New Brunswick declared the third Saturday in September annual Becca Schofield Day. Her father told a friend the response has touched and comforted the family. "It felt like the world had written a love letter to her very existence. [My friend] corrected me by saying that Becca had written the love letter to all of us." "I mourn for you Becca, for all the pain you experienced during your too short life. For all your lost dreams. For the many, many things you wanted to do but will never have the chance to do. And I also mourn for us, for the hole in our lives now that can never be filled. "But I rejoice at the honour I feel at having been a witness to your truly exceptional life." In lieu of flowers, the Schofields have asked for donations to the National Kids Cancer Ride, Ronald McDonald House Charities Atlantic, Friends of the Moncton Hospital (pediatrics unit), the IWK in Halifax, or the charity of the donor's choice.